Small teeth in adults are not very attractive, but you may not know that they can affect your oral health in addition to your appearance. Your dentists in Brooklyn can make teeth longer with small teeth veneers and other options. Veneers for small teeth are the gold standard — truly your best choice for a beautiful smile makeover. We offer a composite, porcelain and instant veneers. Small teeth or overgrown gums can make you feel self-conscious about your smile. It’s even worse when you have overgrown gums that actually cover some of your already small teeth. When this happens, it makes your teeth appear even smaller than they are. Fortunately, there are several cosmetic treatment options available to you to correct the appearance of your small teeth. Some cases of small teeth in adults result in visible gaps between your teeth. This has a drastic way of detracting from the beauty and confidence of your smile. But you’re in luck — the best dentist in Brooklyn is also experienced in cosmetic dentistry and has a number of techniques to make teeth longer and give you a smile makeover. Gum shaping has been one of the leading treatments for small teeth in adults for years. A number of factors can cause your gums to be too high or too low. High gums make your teeth look smaller. If your gums are what’s causing you to be unhappy with your smile, you’re probably a good candidate for gum contouring. Your Brooklyn family dentist uses a pen to trace your new gum line and give you an idea of the results before going ahead with the procedure. Once you agree, gum tissue that’s considered to be excessive is carefully removed to reveal your new smile. Your gums are numbed with local anesthetic and your pain can be managed with medication. The degree of your condition influences your treatment. Composites and crowns are used in a wide range of dental treatments. But they can also be used to lengthen smaller teeth and fill any gaps between those teeth. Unfortunately, it’s necessary to completely reshape your already small tooth to allow the crown to fit over it. Additionally, crowns are often expensive. Bonding doesn’t require as much work to prep your tooth. The resin composite typically adheres well to the surface of your natural teeth. However, it’s also not well suited as a long-term solution. They’re better for individual tooth repair than they are for altering your entire smile. Seeking treatment not only improves your self-esteem in the short term, but it can also save you from premature aging and problems with your oral health down-the-road. Small teeth veneers are quickly becoming the top option because they are so minimally invasive that little to no work is needed to prep your teeth. 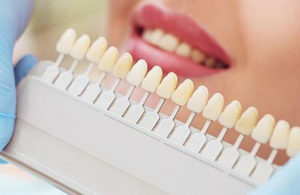 With small teeth veneers, matching the veneer to your tooth color is possibly the biggest challenge. Veneers present a solution that provides you with the most attractive results possible. Veneers manage to make teeth longer while providing a flawless, yet realistic finish. Porcelain veneers are the best quality and longest lasting of the small tooth veneers. In cases where braces or other orthodontic solutions may cause more problems than they correct, small teeth veneers offer results without causing further complications in your oral health or appearance. Porcelain veneers for small teeth are specifically designed to increase the size of your teeth and close any gaps that may be noticeable due to the size of your teeth. You’ll also gain the appearance of a wider smile. Small teeth veneers don’t just maximize your smile, they also provide lasting support for your facial features and soft tissue for years to come. If you’re unhappy with the look of your smile because you feel your teeth are too small, don’t wait another day to contact the best dentist in Brooklyn. Let them help you determine the treatment option that’s best for you. 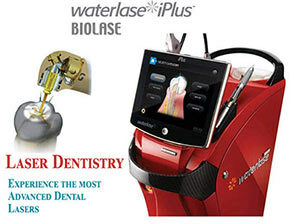 Quality cosmetic results rely on the skill, experience and training of your cosmetic dentist. Your dentist can treat teeth that are too small to suit your face. Nobody wants a gummy smile, whether the solution is to adjust the shape of your gums or adjust the size of your teeth. A truly skilled Brooklyn cosmetic dentist has the experience to know the difference. To make teeth longer is considered a purely cosmetic procedure because it’s not medically necessary. That means your dental insurance company likely won’t pay for it. But ask your cosmetic dentist in Brooklyn about payment options. Do you have any questions about the Small Teeth (veneers for small teeth) Restoration procedure in Brooklyn? 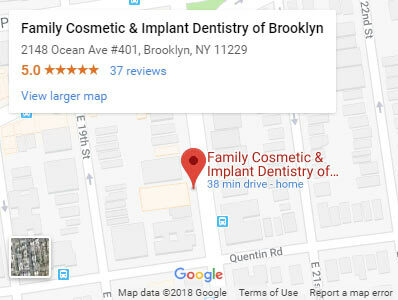 For more information or to schedule an appointment with the top rated cosmetic dentist in Brooklyn Khabensky DDS of Family Cosmetic & Implants Dentistry. 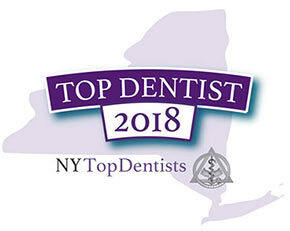 Please contact our dentistry clinic in Brooklyn for consultation with the family dentists Alex and Igor Khabensky DDS.